For Sale is: 2010 2011 2012 2013 2014 2015 PEUGEOT MPV 1.6 PARTNER power steering pump - - 3004767 - 002 08 B HP5 FR A / 1609102580. -- [2008-2015] MPV. · · Model: PARTNER. Partner Tepee. 1.6 HDI 90. Before buying, check. IT IS BEEN REMOVED FROM PEUGEOT 307 2.0 HDI 2004 YEAR. ELIN PELIN 2100. 29 LESNOVSKA. AUTOPARTS SERVICE 86 LTD. ONCE AN ITEM IS RECEIVED BACK IT WILL BE QUALITY TESTED ON OUR BENCHES AND CHECKED FOR A MATCH WITH THE ONE SOLD. 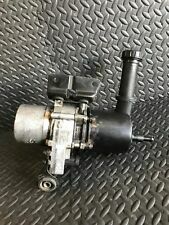 New and Geniune Peugeot 306 Citroen Xsara ZX Berlingo Power Steering Pump 4007Z2 PLEASE NOTE, THIS IS A NEW AND ORIGINAL PART. DIRECTLY FROM PSA Please check for correct fitment before purchase If you are interested in this item but not sure if it will fit your car let us have your chassis number and we can check for correct fitment before buying, our professional staff would be happy to assist Please Note Refunds for incorrectly ordered items are not accepted. IT IS BEEN REMOVED FROM PEUGEOT 307 CC 2.0 16V 2005 YEAR. ELIN PELIN 2100. 29 LESNOVSKA. AUTOPARTS SERVIZ 86 LTD. ONCE AN ITEM IS RECEIVED BACK IT WILL BE QUALITY TESTED ON OUR BENCHES AND CHECKED FOR A MATCH WITH THE ONE SOLD. Important notes. -You have bought and paid 2 without realizing it, but reached only needed one piece. -Breakdown of the piece. We always try to sort out everything in positive and friendly way! IT IS BEEN REMOVED FROM PEUGEOT 407 3.0 COUPE 2008 YEAR. ELIN PELIN 2100. 29 LESNOVSKA. AUTOPARTS SERVIZ 86 LTD. ONCE AN ITEM IS RECEIVED BACK IT WILL BE QUALITY TESTED ON OUR BENCHES AND CHECKED FOR A MATCH WITH THE ONE SOLD. Notes - Genuine Peugeot, Suitable forRHD Vehicles. Model - 308. Year of Manufacture - 2008. 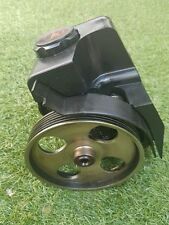 $New and Geniune Peugeot 306 and Citroen ZX Berlingo Power Steering Pump 4007.5C PLEASE NOTE, THIS IS A NEW AND ORIGINAL PART. DIRECTLY FROM PSA Please check for correct fitment before purchase If you are interested in this item but not sure if it will fit your car let us have your chassis number and we can check for correct fitment before buying, our professional staff would be happy to assist Please Note Refunds for incorrectly ordered items are not accepted. 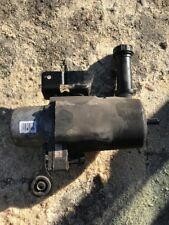 Peugeot 206 power steering pump. Vehicle PEUGEOT 206 . Manufacturer of the part Peugeot. Suspension & Steering. Mileage (km) 64875. Auto Electrical. OEM part number (s) 28140853-QK71628. Transmission parts & gears. PEUGEOT 308 (4A_, 4C_) 1.4 16V. - Modell/Typ 308 (4A_, 4C_) 1.4 16V. Power steering pump. Erstzulassung 16.05.2008. 3003 / AGY. Aggregates are generally sold without mounting parts. This is in relation to the used body parts as normal. PEUGEOT 308 CC 1.6 16V. - Modell/Typ 308 CC 1.6 16V. Power steering pump. Erstzulassung 09.06.2009. KTV black Perlanera. 3003 / AIP. Internal No. Aggregates are generally sold without mounting parts. IT IS BEEN REMOVED FROM PEUGEOT PARTNER 1.6 HDI 2007 YEAR. ONCE AN ITEM IS RECEIVED BACK IT WILL BE QUALITY TESTED ON OUR BENCHES AND CHECKED FOR A MATCH WITH THE ONE SOLD. IT IS BEEN REMOVED FROM PEUGEOT BOXER 2.8 HDI 2004 YEAR. ONCE AN ITEM IS RECEIVED BACK IT WILL BE QUALITY TESTED ON OUR BENCHES AND CHECKED FOR A MATCH WITH THE ONE SOLD. IT IS BEEN REMOVED FROM PEUGEOT 308 1.6 PETROL 2008 YEAR. ELIN PELIN 2100. 29 LESNOVSKA. AUTOPARTS SERVIZ 86 LTD. ONCE AN ITEM IS RECEIVED BACK IT WILL BE QUALITY TESTED ON OUR BENCHES AND CHECKED FOR A MATCH WITH THE ONE SOLD. POWER STEERING PUMP 9640830580FOR PEUGEOT 306 ,406 2.0 HDI. IT IS BEEN REMOVED FROM PEUGEOT 406 2.0 HDI. ONCE AN ITEM IS RECEIVED BACK IT WILL BE QUALITY TESTED ON OUR BENCHES AND CHECKED FOR A MATCH WITH THE ONE SOLD. IT IS BEEN REMOVED FROMPEUGEOT BIPPER 1.4 HDI 2007 YEAR. ONCE AN ITEM IS RECEIVED BACK IT WILL BE QUALITY TESTED ON OUR BENCHES AND CHECKED FOR A MATCH WITH THE ONE SOLD. IT IS BEEN REMOVED FROM PEUGEOT 807 2.2 HDI. ONCE AN ITEM IS RECEIVED BACK IT WILL BE QUALITY TESTED ON OUR BENCHES AND CHECKED FOR A MATCH WITH THE ONE SOLD. IT IS BEEN REMOVED FROM PEUGEOT 407 2.0 HDI 2006 YEAR. ELIN PELIN 2100. 29 LESNOVSKA. AUTOPARTS SERVIZ 86 LTD. ONCE AN ITEM IS RECEIVED BACK IT WILL BE QUALITY TESTED ON OUR BENCHES AND CHECKED FOR A MATCH WITH THE ONE SOLD. 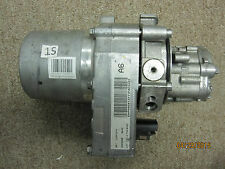 OTHER PART NUMBER: ZF7617955533. IT IS BEEN REMOVED FROM PEUGEOT 407 1.6 HDI. ONCE AN ITEM IS RECEIVED BACK IT WILL BE QUALITY TESTED ON OUR BENCHES AND CHECKED FOR A MATCH WITH THE ONE SOLD. IT IS BEEN REMOVED FROM PEUGEOT 807 2004 YEAR RHD. ONCE AN ITEM IS RECEIVED BACK IT WILL BE QUALITY TESTED ON OUR BENCHES AND CHECKED FOR A MATCH WITH THE ONE SOLD. Notes - Genuine Peugeot 308,Suitable forLHD andRHD Vehicles. Model - 308. IT IS BEEN REMOVED FROM PEUGEOT 306. ONCE AN ITEM IS RECEIVED BACK IT WILL BE QUALITY TESTED ON OUR BENCHES AND CHECKED FOR A MATCH WITH THE ONE SOLD. 1980-87 Peugeot models using a GM Saginaw pump. The pressed fit pullet doesn't have any numbers on it. This may fit other makes and models so do your research to make sure that this is the correct pump for your application. We will response as soon as possible. We would be very happy and glad if we could help you. We will reply as soon as possible. IT IS BEEN REMOVED FROM PEUGEOT 807. ONCE AN ITEM IS RECEIVED BACK IT WILL BE QUALITY TESTED ON OUR BENCHES AND CHECKED FOR A MATCH WITH THE ONE SOLD.